Tile removal, dry pack floor levelling and tile setting. Any tile type, style and layout! Prestige Tile Installers is a Toronto based tile installation company that has been in business for 30 years and has a team of certified and incredibly talented tile setters. Our experience is what sets us apart from the crowd. From residential to commercial, to industrial properties, we have done it all. No tiling project is too small or too big, we have the team and equipment that can handle the most delicate tiles to the heaviest slabs, for indoor and outdoor. 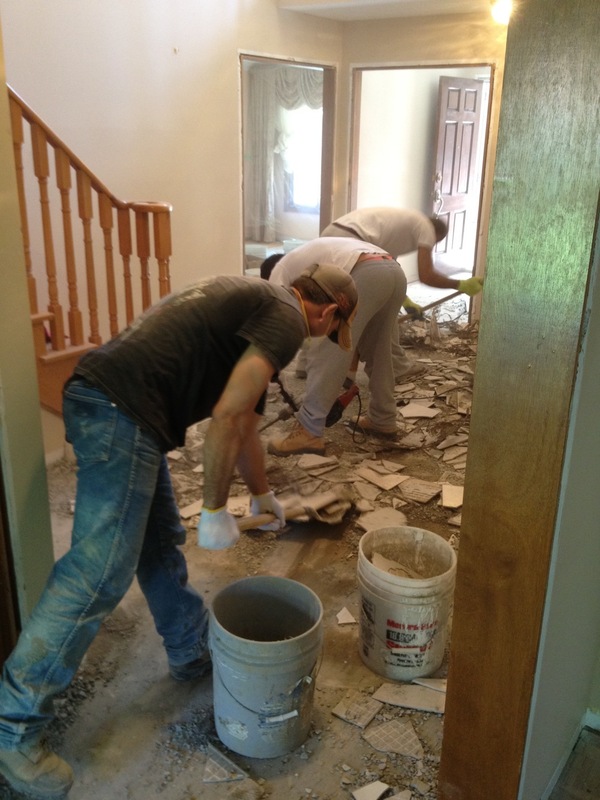 Read more about the work we do in floor leveling, bathrooms, kitchens, basements, commercial and outdoors. In many ways we follow the old ways, like our work ethics and customer care. We pride ourselves in the quality work we do and consider our work to be an art. Our customers know exactly what to expect and we deliver on that promise, we are approachable and friendly, and we make sure our customers are 100% satisfied with our work. Our staff is aware of the environment they work in, meaning they are careful not to damage, dirty or cause more mess than needed to get the job done. We specialize in tiling, but most importantly in subfloor preparation and floor leveling which gives our clients the overall price advantage. We are the city's #1 dry pack suppliers and installers. Dry pack cement is the best floor leveling and preparation method used mainly by professionals and large contractors. In terms of cost, efficiency, strength, and final result there is no substitute. A dry pack mix creates an even surface that is need to level your floors and is essential for larger tile leveling. Another service that is in high demand and one that we have mastered is heated floor installation. Heated floors is the "next big thing" in floor installation. It saves on energy cost and creates a feeling of comfort like no other. With our long winters in Toronto and the GTA, this makes heated floors a smart small investment that will last a lifetime. WE DO NOT CUT CORNERS, WE CUT TILES!